Precious metals futures failed to make waves Tuesday, logging little changes. Gold’s gain, while modest, marked another eleven-week high. Gold for December delivery edged up 70 cents, or less than 0.1%, to settle at $1,231 an ounce on the Comex division of the New York Mercantile Exchange. The settlement is the highest since gold ended at $1,233.60 an ounce on July 31. "The near-term technical posture for gold has dramatically improved the past few sessions, which continues to invite the chart-based buyers," Jim Wyckoff, a senior analyst at Kitco Metals Inc., said in a daily note. "Also, the recent volatility in world stock markets and some heightened geopolitical tensions are continuing to provide some demand for safe-haven gold." 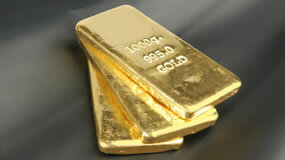 Gold futures ranged from a low of $1,228.40 to a high of $1,235.90. They moved up 0.7% on Monday. Silver for December shed 2.6 cents, or 0.2%, to end at $14.701 an ounce. Silver futures traded between $14.64 and $14.88. They rose 0.6% on Monday, posting their best settlement since Aug. 28. January platinum inched up 40 cents, or less than 0.1%, to $846.70 an ounce, ranging from $842.80 to $850.20. Palladium for December delivery declined $4.30, or 0.4% to $1,073.90 an ounce, trading between $1,068.90 to $1,082.90. Gold added 75 cents, or less than 0.1%, to 1,230.70 an ounce. Silver added 1.5 cents, or 0.1%, to $14.755 an ounce.